All kids are welcome to come along on a Sunday at 1pm. 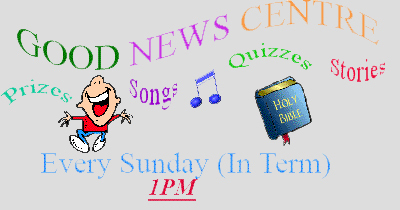 Here we will be telling Bible Stories, Singing Songs, Quizzes, and the Kids can Win Prizes and Sweets every day. Every Sunday the kids will obtain points on what they have achieved on that day, and once a month they can spend those points at our shop. Every 4th Sunday of the Month, we aim to have our Family Service in our Hall. A visiting speaker will come to give us the Good News of the Gospel. There is Singing, a short message and home baking all provided. 4pm every 4th Sunday, all FREE. Please click image below to see in full. There is a Childrens Summer club on at the local park for one week during the summer period, where we hold games, prizes and stories. Our games are from football, to other general sports. 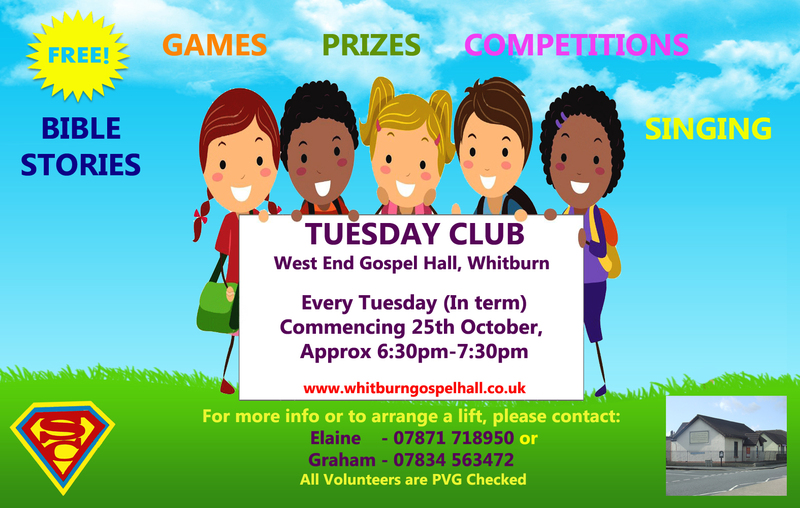 For more information, please come to our Tuesday club to hear more about it or click the photo on the left to contact either Elaine or Graham. This is free of charge.